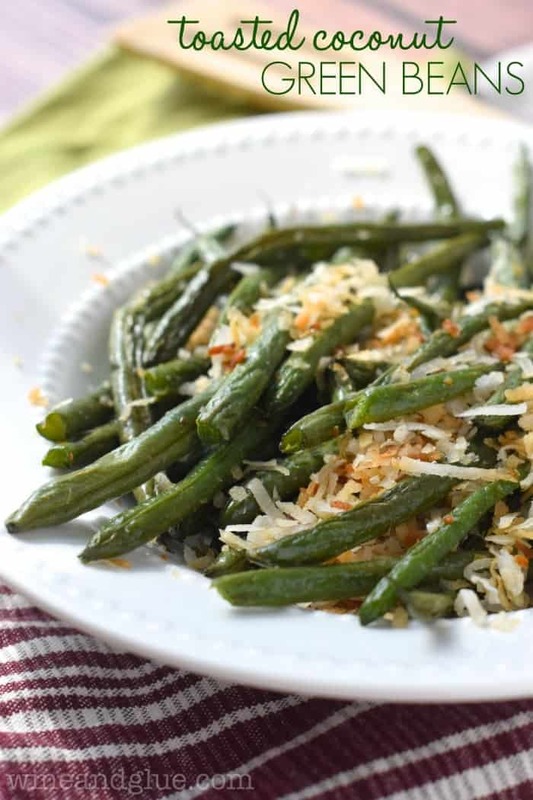 These Toasted Coconut Green Beans come together in a snap and make a perfect side dish! The other night we had back to school night at Gavin’s school. Can I just say that I’m officially terrified of the 1st grade? It started by the teachers cautioning us that there is a significant increase in the amount of homework from K5 to 1st grade. As they listed all the things that the students needed to do each week, my head sort of started to spin. My legs crammed beneath the tiny desk (okay, maybe not crammed, I’m not much taller than a 1st grader), I started to envision ridiculous evenings spent bartering with Gavin to get him to complete his homework before we all go insane. His confidence in me is always so heart warming. So nights around her are about to get more crazy (which, honestly, seems slightly impossible, as I am already spending the hours of 3:30 to 5:30 doing something akin to herding cats). And so I’m looking for easy dinner options. 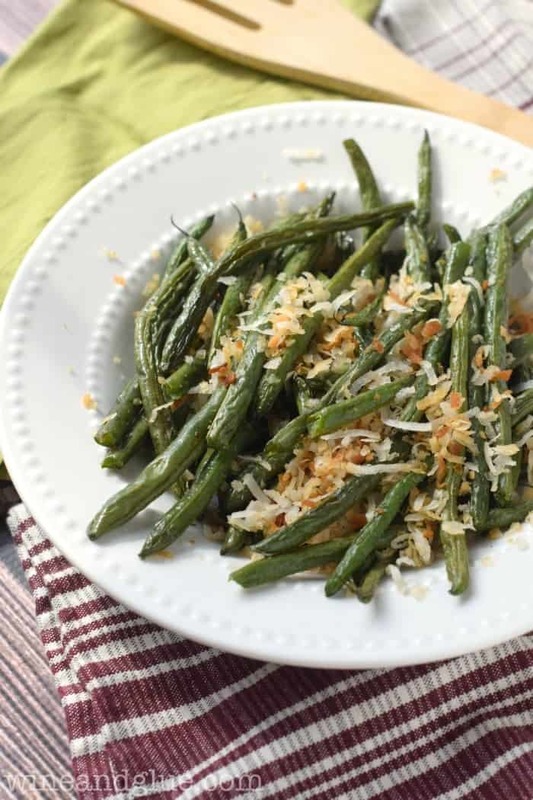 Enter these Toasted Coconut Green Beans. 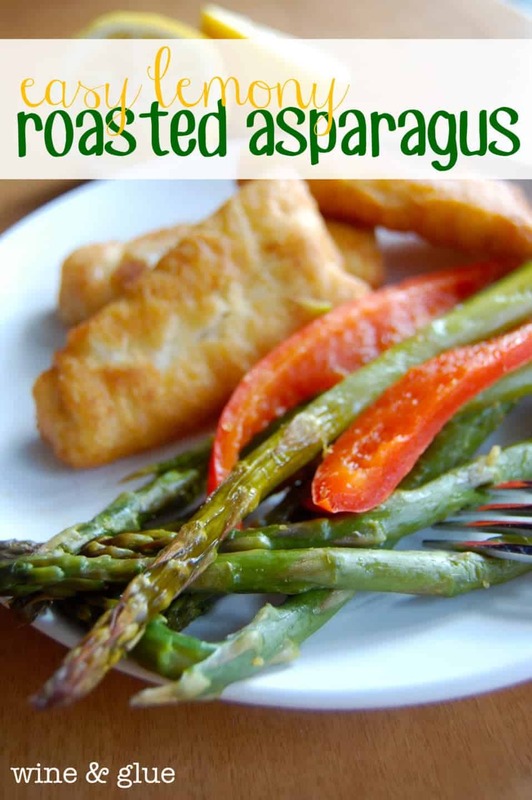 They are super simple to make, but SO YUMMY. 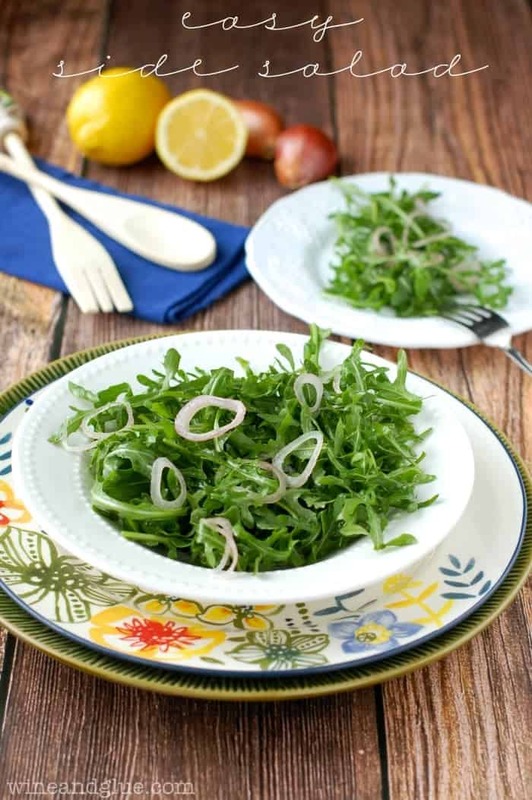 They are like a great combo of salty and sweet, and a pretty healthy option for a side dish to boot! See, I can make green beans taste yummy . . . 1st grade should be a snap . . . right?? 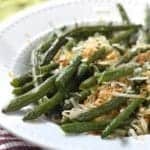 These Toasted Coconut Green Beans are such an easy delicious side dish you will want to make over and over! After washing and trimming your beans (just snapping off the rough ends), put them on a large baking sheet. Sprinkle with garlic salt and give it a pretty serious spraying of cooking spray. Put it in the oven for 15 minutes. Pull them out, sprinkle with the coconut and put them back in the oven. Pull them back out after about four minutes and toss them lightly, then bake an additional about three minutes until the coconut is the desired level of toasted.